Qdoba Wants You to Share the Love This Valentine’s Day! Qdoba Mexican Grill® is encouraging its guests to share the love again this February 14th with the return of its popular BOGO for a Kiss Valentine’s Day promotion. Qdoba guests who purchase one entrée at any participating Qdoba restaurant on Valentine’s Day and then share a kiss with a significant other, friend, family member or even an understanding stranger at the cash register will receive a second entrée of equal or lesser value for free. No coupon is required. All guests need to participate is a pair of lips and a willing smooching partner! The BOGO for a Kiss offer includes a free entrée of equal or lesser value with the purchase of another entrée from Qdoba’s menu and is valid at all participating restaurant locations, except for Wisconsin-based Qdoba restaurants. Qdoba guests in Wisconsin who purchase one entrée and then share a kiss will receive 50 percent off a second entrée. Offers must be redeemed at time of purchase. Versace Bright Crystal Absolu (Reg $62) now $30! Today only! Versace Bright Crystal Absolu Eau De Parfum Spray, 1 oz – Only at Macy’s (Reg $62) today only you can score it for only $30! Versace Bright Crystal Absolu is the absolute essence of Bright Crystal in Eau de Parfum. The raspberry top note in Absolu ramps up all of the original notes of Bright Crystal. CLICK HERE to download and print this coupon! The Perfect Period Box for all who Menstruate! Yes, you read that correct! As crazy as it sounds this is such a good idea! Heck! 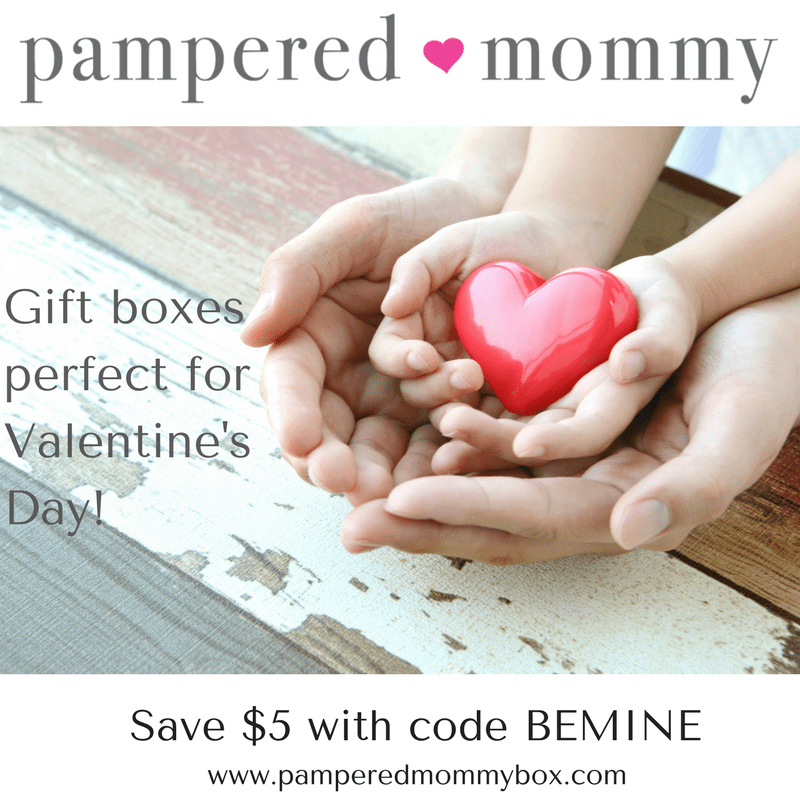 It would make a great Valentine’s Gift to a close friend or girlfriend too! I love it! 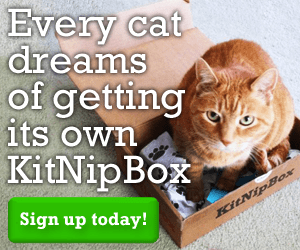 CLICK HERE to order one for yourself or a friend! At only $16 this is a BARGAIN! 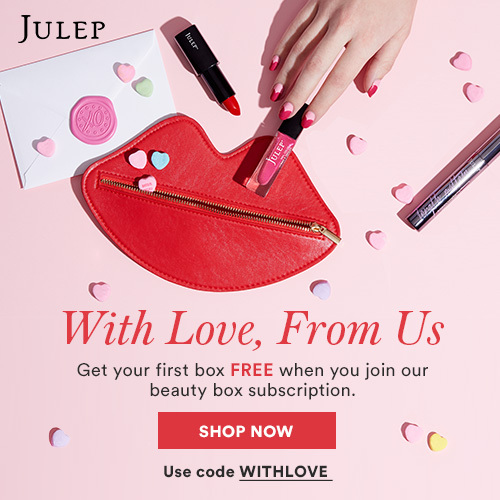 Free Month Of Designer Perfume From ScentBird! Freebie Alert! Get your first month of SentBird FREE! That means you get a free perfume of your choice totally FREE! This is a subscription so you will have to remember to cancel after your first month if you don’t want to be billed after you get your freebie. Of course if you love it, do nothing and it will auto renew each month and you’ll get a new scent of your choice in the mail each month. What I really love about this service is that they only deal in high end Dept. Store fragrances. Not cheap knock offs so be sure to take advantage of your free month because you get a very generous size amount of product! CLICK HERE to get your free designer perfume! 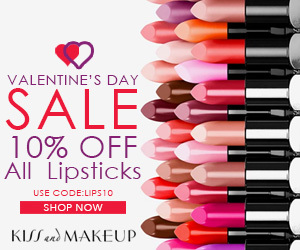 Kiss & Makeup Online is offering a nice Valentine’s Day Sale!